Most Data Teams hold responsibilities for maintaining reports and analyses … some of which are easy and some of which are very hard. Rarely do the users of these deliverables appreciate the effort that goes into them, particularly when there is a lot of interpretation required, or a lot of extra data cleaning that can’t be automated. In these situations it may make sense to assess if the value of the information is commensurate with the effort involved in generating it. This is especially true if there is a suspicion that the information isn’t really being used for decision-making. More tips are on this topic are described in the blog post Turning Analysis Into Action, but generally speaking the Data Team efforts should be fully aligned with the outcomes of the Data Team. Data Teams typically find themselves in situations where they don’t have enough capacity to meet all of the demands imposed on them. And every week requests for new analyses and reports come up. So, if they are working on difficult things that are clogging them up, empower the team with a business process to periodically review the ROI of the analysis and how popular it is. Set a bar for minimum expectations, and discontinue anything that doesn’t meet it. For example, if a report is only being used by one or two people, that’s a pretty good sign that it could be discontinued. The whole power of reporting is creating common measurement of performance that everyone can get behind. So, if a complex analysis is only interesting to one or two people, then chances are they aren’t aligned with the rest of the organization. A sure-fire way to test the popularity of a periodic report is to just let the report take a vacation. If you don’t provide the report, does anybody come asking for it? If not, then you’ve just liberated some bandwidth for your Data Team. Important and urgent things come up, and when they do, Data Teams often drop everything to respond. So why not maintain some reserve capacity for this? You can even review your past urgent and important requests to get a sense of the timing of these requests … year end, month end, just before planning sessions, etc. As a Data Team when you plan out your week, and assign responsibilities, try as best as you can to not schedule every last hour. Build a couple hours of flex into every day, or plan for “catch up” days. Worst case scenario, your team members can get ahead on some neglected projects with this flex time. Best case scenario, when your CEO calls needing something urgent, you’ll be able to impress them with your ability to respond quickly. Note: What is a Data Team? When we refer to “Data Teams” it’s a catch-all for groups of technical, statistical, and subject-matter domain experts that are involved in providing information to support their organization. These teams are sometimes called “Business Intelligence”, “Decision Support”, or “Information Management”, but they can also be internal consultants such as “Operations Analysts”, “Strategic Information” or “Research”. Many of these concepts equally apply to teams of Data Scientists. If you find that you are asking yourself these questions, then you are probably not realizing a return on investment from your analytics. The whole point of having better analytics is to give you, your department and your company the tools to be successful. If your analytics don’t directly support you in taking action, then the entire investment may be wasted. While organizations are very keen to invest in the latest technologies, they often invest little to no effort in ensuring that the analytics trigger the right actions. This is often the weakest link in the analytics chain. These are some basic tips that your organization can use to turn your analytics into action. Many new adopters of analytics are tempted to show all of the data and metrics, assuming that more information means more power. But this approach is often counter-productive, because different people in the organizations focus on different things … instead of everyone pushing towards a common goal. In Mastering the Rockefeller Habits Verne Harnish describes the top metrics as “the critical few” … and he means it. He encourages organizations to find their one, two or three metrics that show whether things are going well or not. For organizations with a wide suite of performance metrics, some consideration could be given to building an aggregate measure, just like a GPA score for a student. 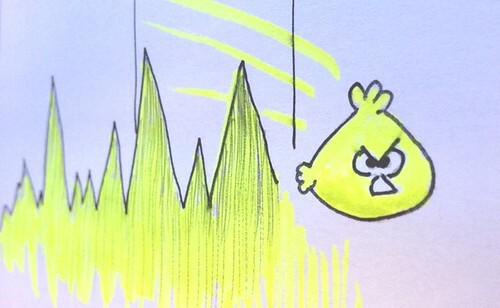 More tips to improve your metrics are described in my post on Escaping KPI Hell. The expression “when everyone is in charge, nobody is in charge” rings true here. When metrics are reported, and it’s unclear who is responsible for taking action, more often than not people will assume that someone else is taking care of it. The simple practice of designating individual responsibility to each metric can create drastic change in performance. Once the “metric owner” has accepted this responsibility, their name is written next to their metric in the reports. That individual now feels a personal responsibility to make sure the metric looks good, and will start taking action to make it happen. There will be situations where the metric owner doesn’t have all of the authority and resources to drive the metric, but they can at least report on the factors that are most affecting performance. Another common reason why companies don’t realize a return on investment on their analytics is that they don’t build in their metrics into their daily, weekly, monthly and quarterly dialogue. Who needs to do what to achieve our performance targets? This isn’t about finger-pointing … it’s about having a common score card, with specific people in charge of the few key metrics, and empowering them to take the right actions that help the organization as a whole succeed. These very basic tips can go a long way towards increasing the value of your analytics. If your organization has not yet embraced analytics, you may be wondering “what’s the best way to get started?” A key decision at the beginning is whether or not to bring in outside expertise to kick start the process, versus the traditional approach of recruiting an internal team. Another key decision is “which analytics software should we buy?” This post outlines some tips that executives can use to move forward. There’s an incredible array of analytics software available in the market, many of which are marketed as turn-key solutions. The idea of an off-the-shelf solution appeals to a lot of business leaders … they are drawn towards the idea of a having a tangible asset that works right out of the box, without having to worry about the pesky people issues. The tool is only as good as the strategic thinking that goes into how it will be used. 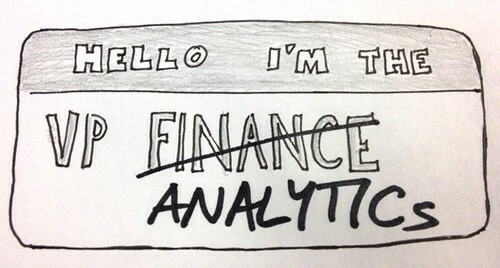 If you run an analytics tool on poor or incomplete metrics the tool doesn’t have a chance of creating business value. The tool is only as good as the analyst running it. The analyst is the interface between the real business problem, and how that business problem is translated into the data and metrics in your system. If that translation is poor, then the tool is unlikely to generate powerful results. The tool will quickly be discarded if it’s not generating business value. This will create a belief within the organization of “been there, done that … we tried analytics and it doesn’t work for us”. This can mean that your organization will fall behind the competition. It’s not uncommon for an organization to build their analytics team with their existing staff. This approach increases the chance that your analytics team will get what your business is about, and hopefully they also represent the culture of your organization. A challenge with this approach is that the team members who are recruited from within are often not able to give full attention to their new position, because they are still holding responsibilities related to their old roles. Another challenge with this approach is that there’s a risk of missing a big opportunity to take a fresh look at how the organization uses analytics to drive their key decisions. For example, if you recruit from your finance department, chances are that your analytics will be very financially focused. These concerns can be overcome, but it certainly helps to think about these considerations before making a decision. If you’re building up a new team with external hires, getting the ball rolling can be tricky. Most organizations start by hiring the team leader, and then ask the team leader to do all of the following recruiting. A challenge with this approach is that whoever is hired first often sets the possibilities and the limitations of the team. For example if the first hire is a fan of traditional multivariate statistical approaches, chances are they will pursue analytics applications in that area, while leaving all other opportunities behind. They will create demand for their favorite analytics applications, and therefore hire other team members that have that same skills set (i.e. “he who has a hammer sees everything as a nail”). So, the first hire with this approach is a crucial one, and given the specialized and nichy aspect of analytics, this will be a hire that you’ll likely do best to work with a recruiter that you trust. If you are successful in hiring a strong team leader, think about using the Who Method for setting targeted outcomes for the first 90, 180, and 365 days. These outcomes should reflect the business value that your organizations wants to get out of having its’ own analytics team. The alternative approach would be to start off with an external consulting firm that specializes in analytics, and do a demonstration project with them. This approach is especially useful, as it allows you to start off with an experienced team and make progress quickly. This both increases the range of analytics that can be considered, and increases the chance of having a successful first project. Based on the work they do with you, can they build a “leave behind” tool that allows you to update the results yourself? What insights do they have on your local job market for analytical talent? Could they support you in building a recruiting plan? Often leaders are hesitant to bring in an outside consulting firm because they don’t know what to look for, and they are worried about hiring the wrong firm, and/or asking for the wrong type of support. But what is less risky … hiring a consulting firm to do a “prove yourself” demonstration project, or building up a team of full-time staff with a completely new area of expertise? Either way it’s generally better to focus on your people and processes first, and then afterwards, figure out the analytics software they need to do their job. Building an analytics capability in an organization takes a while. There are more things that can go wrong than go right. If you take a long term view, it makes sense to begin small (both with people and projects), realize some early wins, and gradually build the team based on the business value that they generate. If you’re the leader of a Data Team, chances are your clients are constantly demanding more and more services as time goes on. Your team members might be working longer days to keep up, and still you might not be able to meet all of the needs of your customers. While the typical approach would be to try and get funding for more team members, there are other things that could be done first. Check 1: What are the patterns of demand for your Data Team? How often do new requests come in? Who do they come in from? 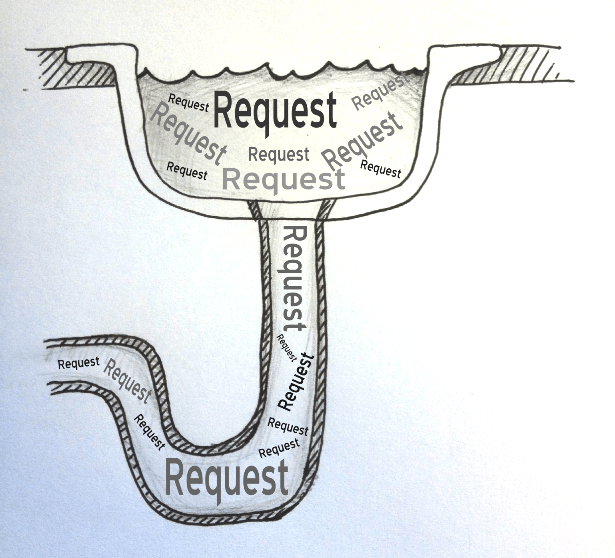 What is the nature of the requests? 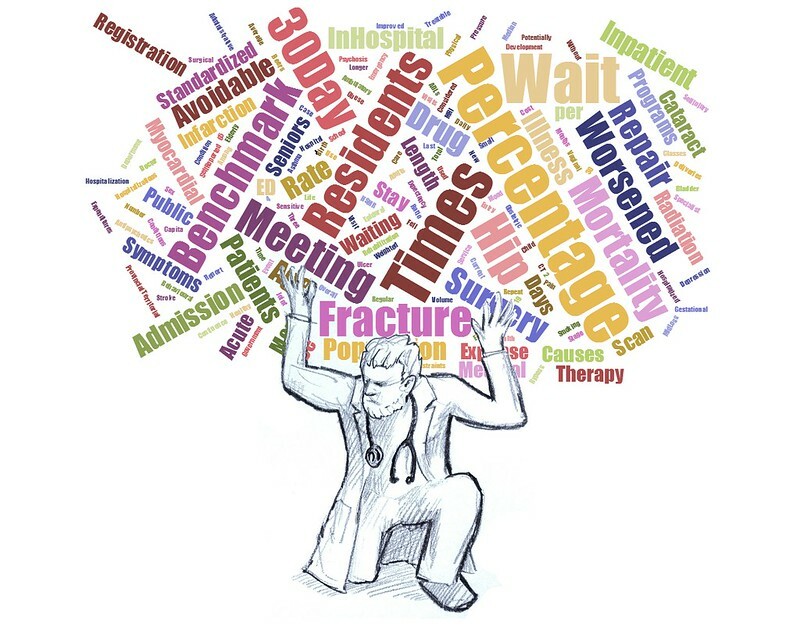 What is the urgency and target turn-around time for the requests? How long does it take to clarify the request? How long does it take to deliver a result? Getting a picture of your demand patterns will help you better understand what’s driving the level of busy-ness in your Data Team. It may point you in the direction of converting repeat requests into automated self-service reports. Or it may highlight those customers that have a chronic pattern of last-minute urgent requests, and in these situations you might benefit from proactively checking in with them once a week to see what might be coming up. Or, at minimum, having this information will be your first point of evidence that your Data Team could benefit from having more team members. Check 2: Is your team working efficiently? How many work hours does it take to respond to requests from your customers? Does it take some team members less time than others to get things done? If so, what skills are teachable and transferrable between team members? Or, are there any team members that just aren’t pulling their weight on the team? How much time does your team spend doing “disaster recovery”, meaning situations where some bad numbers have been released by the team, and they are scrambling to correct the numbers? If this is significant, then implementation of quality control measures like the Consistency Check can help. What’s the percentage of time that your Data Team is doing mundane and repetitive work? This may point to the need to further streamline and automate your processes, and/or offer standardized self-serve reports for frequently requested information. How many iterations (back and forth with the customer) does it take to complete a request? Are there opportunities to increase efficiency, by slowing down at the beginning, and getting clear on the what, when, why and how of the request? What is the pattern of work hours for your Data Team members? Are they constantly working late, and if so, is it measured anywhere? By attempting to answer these questions you, as the Data Team leader, may find that you have some easy opportunities to pursue before trying to seek funding to grow your team. Or alternatively, by answering these questions you will have the evidence to show that your team is working as efficiently as possible. Check 3: When the Data Team can’t respond to requests, what does this cost your organization? It’s very rare for a Data Team to keep track of the requests they can’t get to, which is a shame, because this can be invaluable information when thinking about expanding the team. At minimum, a central log of requests can be set up, to track all requests that are made of your Data Team. The log should capture 1) requests that were accepted and delivered, 2) requests that the Data Team couldn’t respond to, and 3) requests that were accepted, but have been delayed by more than a couple of weeks. Then, as the leader of the Data Team you could follow up with a sample of your customers that had unmet needs in the past year, and work with them to estimate the cost of not having that information. It doesn’t have to be anything fancy – even just a back of the envelope calculation is better than nothing. You may need to be creative, but you could consider the cost of making the wrong decision, or the cost of an adverse situation unfolding because of lack of awareness. Pulling it all together, you now should know the pattern of your demand, the efficiency of your Data Team, and you should also have a rough idea of what it costs your organization when you can’t respond to requests. This will be the type of evidence that your leadership team can use to make an informed decision regarding whether to expand your Data Team or not. Are you reporting what you can? … Or reporting what you should? Too many organizations are missing opportunities to use their data and analytics as a competitive advantage. Often leaders believe that having an abundance of data, reports, and colorful charts is what it means to be data-driven. But gaining competitive advantage through your data and analytics involves making sure leaders have the information they need when they need it. But it’s extremely common for people in an organization to become complacent with the information that’s always been available, instead of demanding the data that will serve them better. 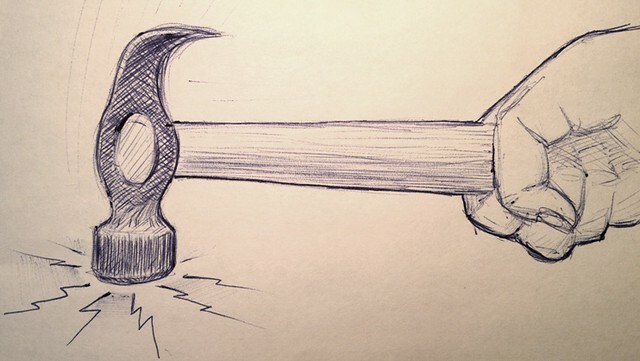 The idea of “if all you have is a hammer, everything looks like a nail” is often evident in performance reporting … with too many indicators describing the same concept, while ignoring other critical parts of the organization. To get some “out of the box” thinking it may be helpful to do an assessment every so often to make sure that the data and information is actually generating meaningful value to the organization. 1) Does the current analytics help your leaders make decisions? Timeliness: Is information provided in a timeframe where users are actually able to take action? Or is the information so far out of date by the time it’s reported, that it provides little value for performance management? Trustworthiness: Are leaders having difficulty trusting the data, because of accuracy and reliability issues? Relevance: Are leaders having difficulty in seeing the relevance of the existing data? For example, seeing your current performance relative to past levels, or relative to industry standards. 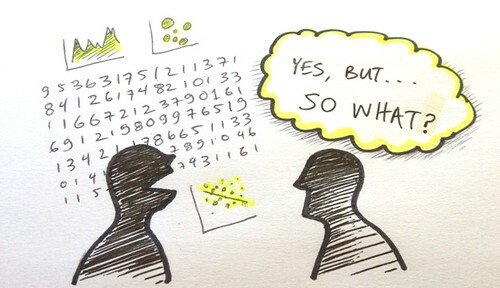 Understanding: Do leaders actually understand the data or metrics that are being reported? Do they know where the data comes from, and what it represents? Are some of your metrics needlessly complicated? Is the data presented and charted in an immediately intuitive and visual way? Is it clear who is responsible for what? As best as you can, figure out what do your leaders really should know before taking actions based on the data and analytics. 2) Do you have too many metrics? What are the few metrics (3 to 5) that cover the majority of what’s important, to the majority of the people in your organization? For example, if you have 20 metrics then think about how you can group them into topics and create aggregate metrics (i.e. like a GPA summarizes a student’s letter-grade performance across courses). Reporting dozens of metrics is easy, but not very actionable, because at most times some metrics will look good and some metrics will look bad. Slimming them down to the few metrics is a tough job, but when done right, it can be an incredibly powerful tool for communicating through the organization “what good performance looks like”. 3) What do your leaders want? What would help them do their job better? Carry out working sessions with your leaders to figure out what the ideal data and analytics would look like, and more importantly, have them describe the actions they would take with this information. 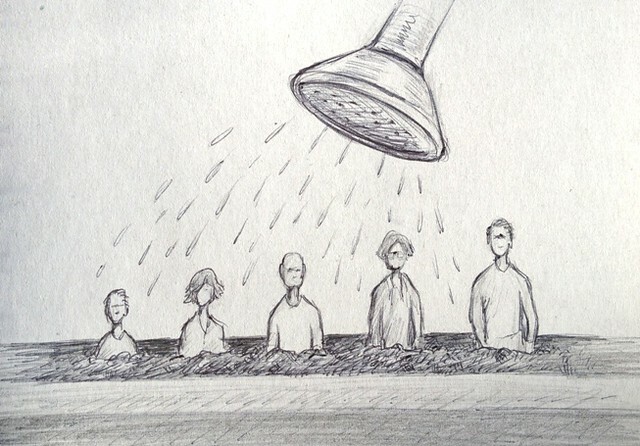 Ask them to think outside the box, and not restrict themselves to the data that they’ve seen before. Then ask your leaders to set priorities using the question: If you had to choose one metric, what would it be? If you’re doing this as a group working session, you will generate a lot of informative discussion, and a decent group of new metrics. 4) What is the ROI on the right metrics? On your top-ranked metric for new data (i.e. data you currently don’t collect or have available), do a cost-benefit analysis. How much is it worth to your organization to have this information? 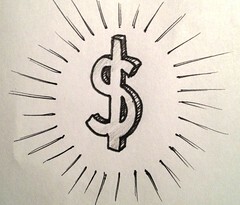 Taking this approach can reveal opportunities to make a strategic investment in order to gain a competitive advantage. See Tip 3 from How to Get the Data You Need for more details. If done right, this exercise will generate a burning need to make the investments to help leaders have the information they need, when they need it. And in doing so, empowering them to take meaningful actions based on truly relevant data and analytics. Translating analysis into action will create a competitive advantage for your whole organization. 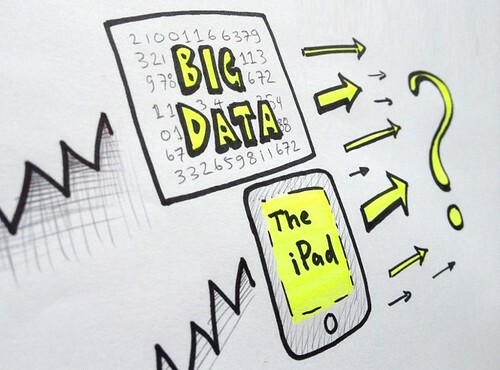 Two Mega Trends: Big Data and the iPad … Where do they converge? Enter mega trend #2, the iPad. The current market share for iPads is strong and is projected to continue until 2016, according to the recent IDC study. I can say first-hand that most executives in our network are now in the habit of bringing their iPads with them wherever they go. … Where these two mega trends converge? I’m sure this post will generate a decent discussion thread. To kick things off, I’ll put out my own thoughts. Tablet apps can be beautiful to look at, but they are rarely as successful when trying to pack a lot of information into a small space. Designers will increasingly need to give disproportionate attention to the “so what” message when reporting Big Data results. As Lachlan James outlined in the recent post, on Top Business Intelligence dashboard design best practices intentional, effective and clear communication must be priority number one. So if we agree with that idea, then instead of filling 90% of the reporting space with different charts and tables of results, perhaps the future way of iPad-friendly reporting would be like headlines in a newspaper, with catchy titles like: “We can accurately predict 80% of our adverse hospital events based on these 5 factors” or “65% of our customer retention in the Pacific Northwest and be explained by these 3 attributes”. Underneath the headline would be the supporting detail and charts. This presents a challenge in automating the process of taking Big Data results, and explaining what they are saying in plain english. Perhaps there is a whole new area of opportunity here, with some links to artificial intelligence. Play with different ways of visualizing complex Big Data results, using different charting tools, plotting symbols, colors, etc. (i.e. a techie version of “arts and crafts”). The nature of Big Data is that it is ever-growing and ever-evolving. Which means that “what was interesting and useful” today, might be taken as a given tomorrow. In addition, as companies use more or and more external data (as opposed to just using their own internal data) it may introduce another element of variability in terms of where the Big Data stories are. So, unlike previous BI and dashboard reporting efforts (i.e. with KPIs and measures that generally don’t change that much), the reporting canvas for Big Data may be constantly changing. Translating this to the iPad experience, a core competency in reporting Big Data results through an iPad might be “the ability to educate as you go”. Leaders and executives will constantly be exposed to new findings and new measures, and they will need help getting up to speed regarding on what the findings mean. Conceivably, this may need to take place on the fly during the reporting stage, using popup videos or animations – using a broadcast email to communicate updates won’t likely cut it any more! Many people will see the results, but it might not be clear if anyone has started taking action. Nobody wants to duplicate efforts, but at the same time nobody wants to drop the ball. There will be a lot of results, and a lot of actions to take, so if the full value of the information is to be realized then it’s important for there to be a means for tracking the actions. The reporting of Big Data in the near future may be more like the Social Media experience and the Customer Relationship Management experience, with lots of communication and interaction. I’m sure there are many people out there who know much more on this subject, so I encourage you to weigh in, whatever your point of view is.